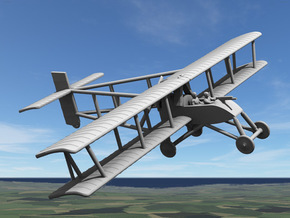 It was originally hoped that the twin-gunned SPAD 13 would replace the SPAD 7 in mid 1917, but troubles with the geared Hispano-Suiza engine slowed production output and only 131 had been delivered by December 1917. 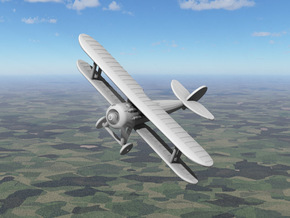 All of the early models had rounded wing tips, but by spring of 1918 the wing tips were squared off for better maneuverability. 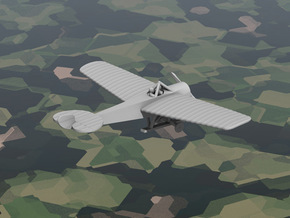 This model shows the 1918 model with the familiar squared-off wing tips, fairing over the lead drag wire, and cooling screens on side engine panels. Production eventually picked up, and total SPAD 13 production numbers are over 8,400 aircraft. It was used by France, equipping 90 fighter escadrilles and 30-40 army cooperation escadrilles. It was used by roughly 20 Italian Squadriglias, Sq.23 RFC, and most American fighter squadrons. By mid-1918 the design was showing its age. 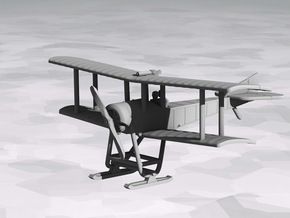 An improved model in the form of the SPAD 17 was handed out in small numbers to French squadron aces. This product comes in 1:144 and 1:285/6mm/1:288 scales. 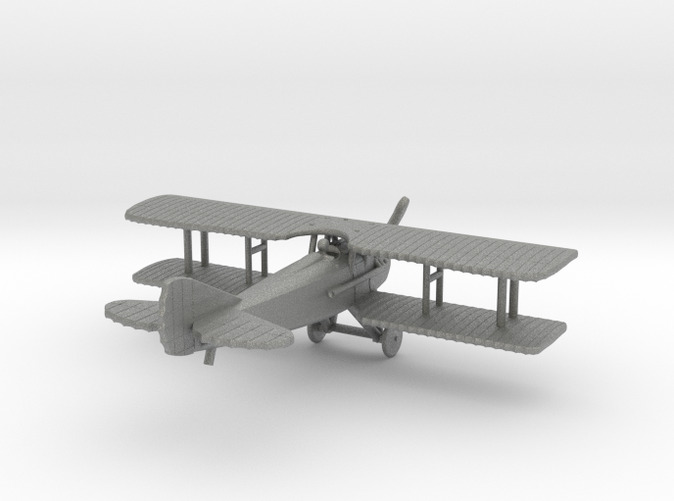 The 1:285 product contains two aeroplanes and detachable propeller disks rather than propeller blades. They are joined by disposable links to keep the price down, since single-part models are more affordable. You can break the links with nail clippers, wire cutters, or similar.